We appreciate and are grateful for every donation we receive. Donations help us carry on the work of Tom Steinburn, Tom Deschner and other founders to not only create access to the water but to create and maintain more trail sites for human powered craft. 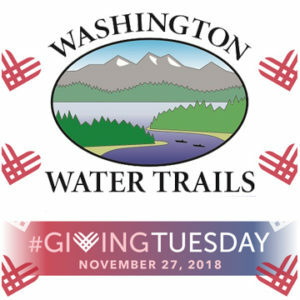 We thank you in advance for your #GivingTuesday donation. ⟵Rob Casey Presentation on Surfing Puget Sound!